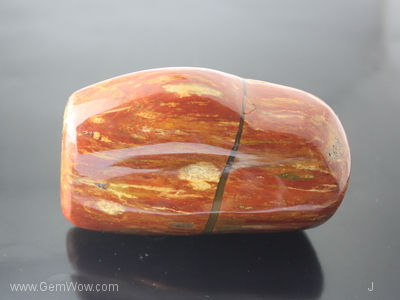 It appears that this Jasper is split into two parts by a distinct black "line". 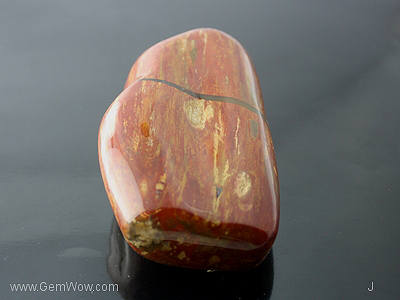 The jasper itself is brownish red with yellow, white and light browns. 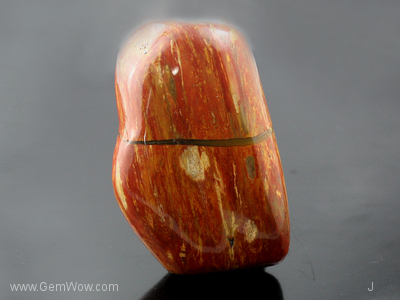 An attractive piece to put on your desk top.